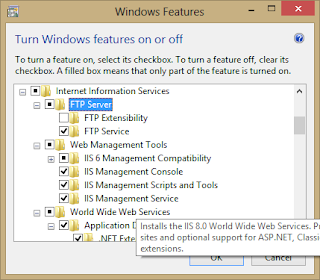 For this post I'm using Windows 8, but these steps should work in Windows 7 and Server 2008 also. Some searching produced a MSDN post showing some commands that need to be executed if you're running Windows 7 or Server 2008. 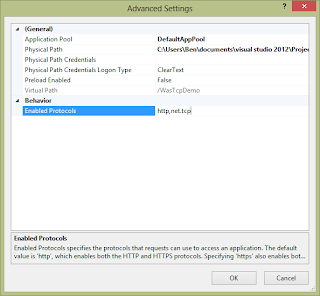 However these are not necessary in Windows 8. 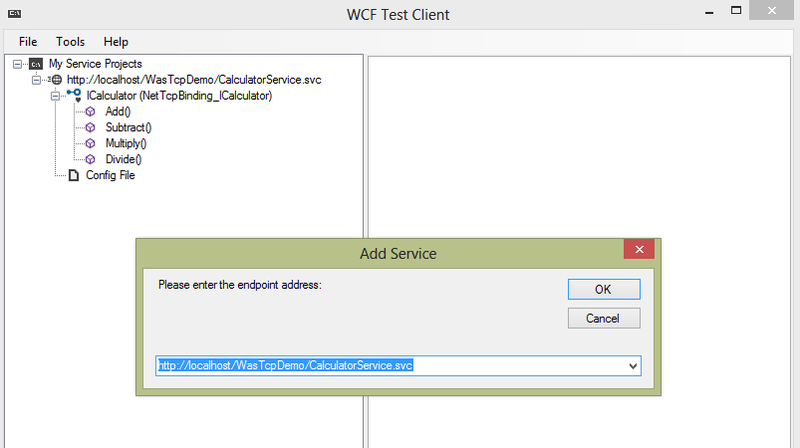 WCF and WF components on a single machine. 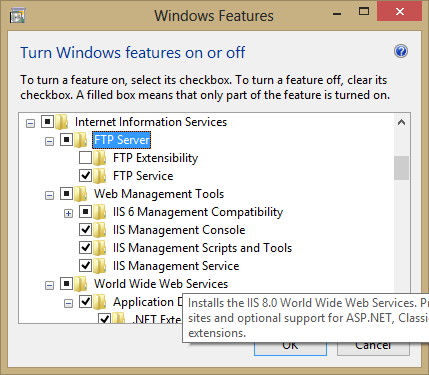 e 'Turn Windows Features On/Off' dialog, or the dism command line tool. After completing this re-running the aspnet_regiis command above still returns the same response, so this is definitely not necessary in Windows 8. The above installation of windows components has automatically registered net.tcp with IIS. 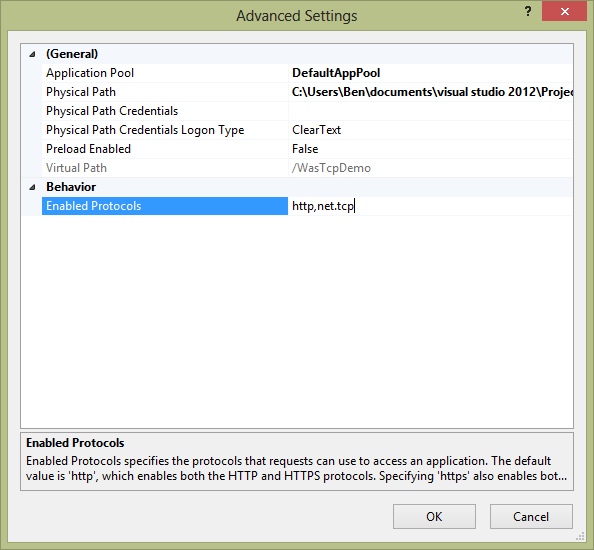 Open the advanced settings for your virtual directory and ensure net.tcp is an enabled protocol, if not just type it in. The new service virtual directory will use the "Default App Pool" this will be using the Framework v4, in integrated mode. If your default app pool is different, create a new app pool with these settings. 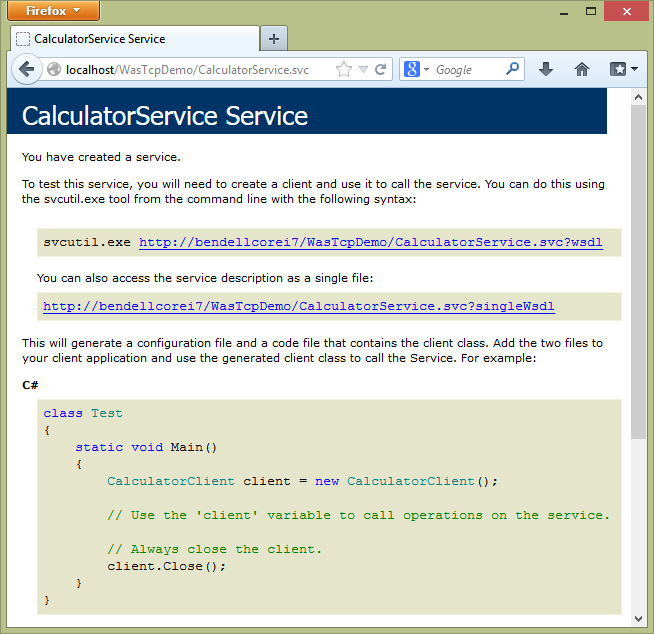 Since httpGetEnabled is on, using the WcfTestClient.exe you can add the service using "http://localhost/WasTcpDemo/CalculatorService.svc". 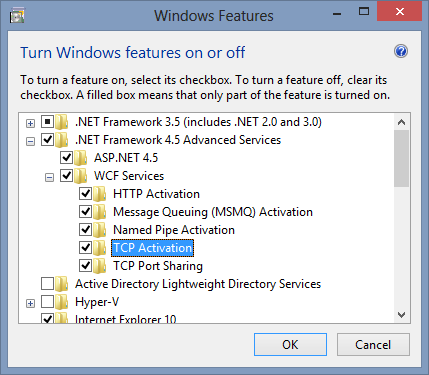 However, the client config the tool has generated only allows communication with net.tcp for invoking service operations. 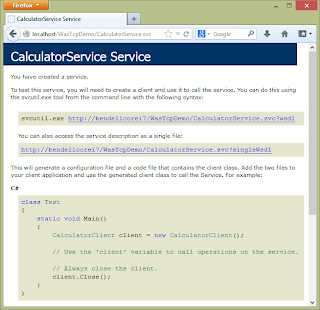 Given the web.config also allows for obtaining metadata over net.tcp you can also add the service using the address "net.tcp://localhost/WasTcpDemo/CalculatorService.svc". 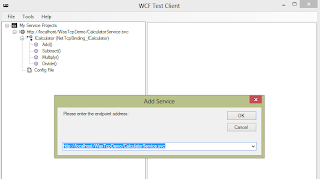 Once the Test Client has added the service, you can remove the serviceMetadata element and the MetadataExchange binding to ensure net.tcp communications without exposed metadata. Using the two command lines mentioned on windows 7 all works fine. Running the command's multiple times has no detrimental effort, so can be incorporated into an installer. On a 64 bit OS, you'll need to run ServiceModelReg.exe from the %WINDIR%\Microsoft.NET\Framework64\v4.0.30319 folder instead of the "Framework" folder.